The Maldives, a blue, paradisical lagoon, are often associated with the pleasures of seaside resorts. However, the daily life of the people contrasts radically with that of its tourists. This disconcerting paradox demands particular attention, especially in the area of Children’s Rights. Five years ago, government efforts were undertaken in the aftermath of a natural catastrophe caused by a tsunami; however, the situation remains worrisome. In the Maldives, around 15% of the population lives below the poverty line. This minority must live with very little money; it is thus sometimes difficult for them to meet the fundamental needs of their family. The children, who come from poor families, are sometimes discriminated against and have seen certain of their rights – notably their rights to an education and to healthcare – treated with contempt. Drug consumption among Maldivian children has risen considerably over the last 15 years. Today, drug addiction affects nearly all families. This problem has led to harmful consequences for the health of children. The AIDS virus, transmitted through pregnancy or as a result of contamination arising from the use of secondhand needles, is one significant risk linked to drug use. In the Maldives, drug users risk a 25 years prison penalty. This penal sanction is a response to the emergency that this plague engenders, but it does not effectively adress the need for physical and psychological support. Numerous detoxification centers have been put in place to permit young people to escape drug-use, and are thus a means of restoring hope to this segment of the population. Moreover, it is not at all rare that a Maldivian newborn suffers from being underweight; 22% of them are affected by this problem. Medical care and medical personnel must be improved in order to permit a larger number of children to live in good health. In addition, the lack of fresh produce (fruits and vegetables) provokes deficiencies that are responsible for slowing the growth of young Maldivians. 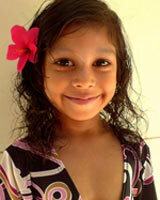 Another health problem that Maldivians face is thalassemia, a rare blood disease. One out of every five inhabitants is a carrier of this gene which causes enormous problems. Affected children must receive one to two blood transfusions per month. Education is not obligatory, but it is free for all who are privileged to receive it. One witnesses discrimination towards girls. 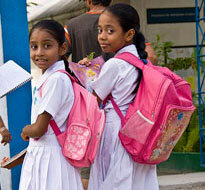 After the seventh year, children are obliged to leave the Maldives in order to pursue their studies. It is at this moment that certain parents forbid their daughters to continue their schooling. The government attempts to remedy this situation by granting girls and boys equal access to school. Numerous children in the Maldives are the victims of mistreatment or of outright violence; be it physical or sexual, which occurs both at home and at school. As a result, children are subjected to physical or emotional trauma which is difficult to overcome. To combat this problem, the government has implemented new legislation which condemns individuals found guilty of sexual infractions to 25 years in prison. Unfortunately, this legislation is insufficient because numerous rapists have regained their liberty and can thus return to the victims’ communities. 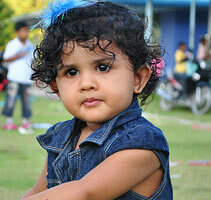 Nearly 30% of births are not officially registered with the Maldivian authorities. This situation leads to great difficulties for children who, considered invisible in the eyes of society, will be unable to enjoy their rights.